Maurizio Sarri is in a world of trouble at Chelsea. 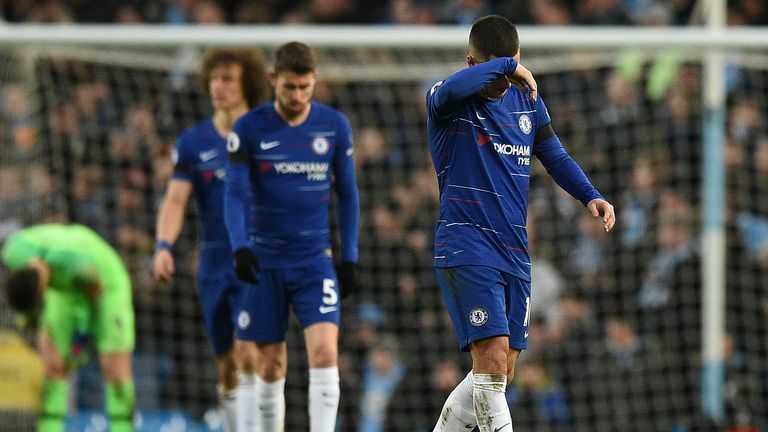 The Italian is wounded by the 6-0 annihilation at the hands of Man City – the club’s worst result in Premier League history – which came just over a week after a shock 4-0 reverse at Bournemouth. Chelsea’s away form is horrific. Since the turn of the year they’ve lost each of their four games on the road, failing to score a single goal, while they’ve leaked in 13 down the other end of the pitch with their defence torn to shreds in the aforementioned matches. ‘Sarriball’ has taken an absolute pummeling from all angles. The boss himself has made the potentially grave mistake of calling out his unmotivated players, and even refused to shake hands with Pep Guardiola, while Jamie Carragher even went as far to say that Sarri has turned Chelsea into Arsenal. The former Napoli manager now looks to be heading for the same fate as many Blues bosses before him; Luiz Felipe Scolari and Andre Villas-Boas being a couple of pertinent examples. Sarri’s fate as Chelsea manager is set to be decided in the next two weeks, according to The Telegraph, during which the club play five fixtures in four competitions. First up is a Europa League clash away to Swedish outfit Malmo FF, who are managed by the former Leeds and Fleetwood boss Uwe Rosler. The travel-shy Blues then make a welcome return to Stamford Bridge for consecutive fixtures against a rejuvenated Man Utd in the fifth round of the FA Cup, and the return leg against Malmo. Sarri, if he’s still at the helm that is, then actually has the chance to win silverware in the form of the League Cup, although his troops head into the Final against Man City as underdogs following last weekend’s rout. Their final fixture in February pits the club against London rivals Tottenham at the Bridge, in a pivotal Premier League match-up. 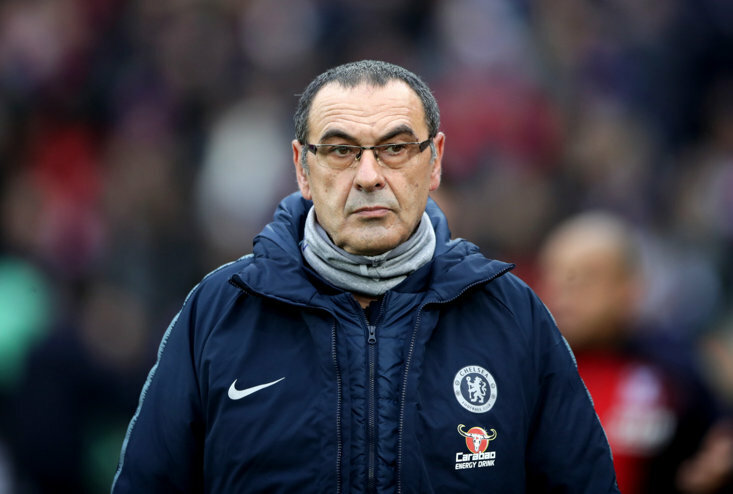 Should Sarri, the top-flight’s favourite for the sack, fail to beat Malmo this week the club could even decide to wield the axe right there and then, although the lack of high-quality managerial replacements available at this moment in time could work in his favour. Meanwhile the favourite to replace Sarri, Chelsea legend Frank Lampard, has cooled speculation linking him with a sensational return to his former stomping ground. Go Google My Net Worth, Ruto Tells BBC Host.